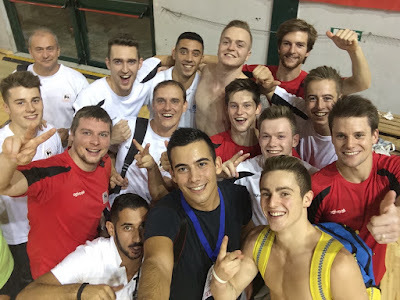 This Saturday, our Men's National Team was in Cagliari (Italy) for a friendly meet against the Italian team. Find out here all the results! 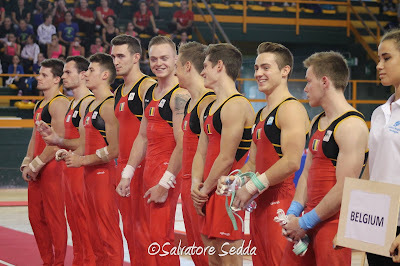 Italy won the meet with 338.850 ahead of Belgium (333,500). 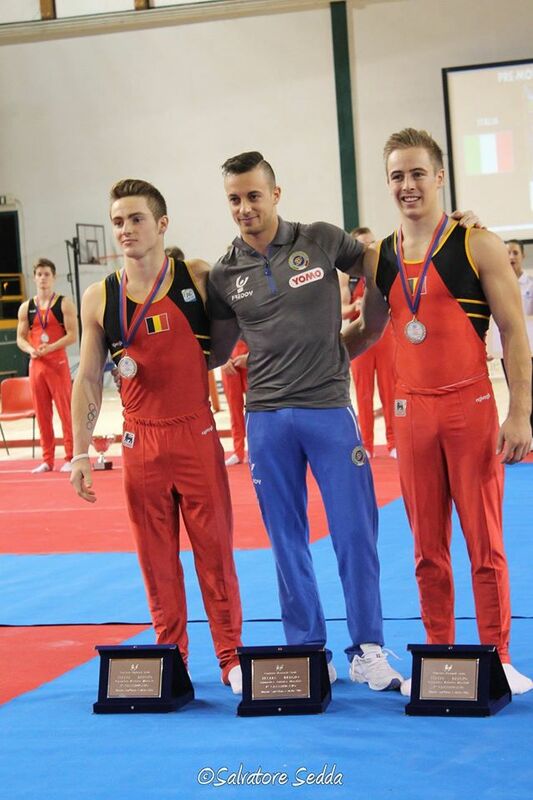 In the all around, Italian gymnast Paolo Principi won gold (85.050), followed by two Belgians, Florian Landuyt (84.900) and Jimmy Verbaeys (84.150). Belgium was represented by the nine gymnasts who are pre-selected for the World Championships in Glasgow (October 23 - November 1). For now, only Jimmy Verbaeys (Blauwput Omnisport), Florian Landuyt (Sportac Deinze), Maxime Gentges (Gym Club Malmedy) and Bram Louwije (Turnkringe Vlamertinge) have their ticket to Glasgow. Five gymnasts are still in contention for the last two remaining spots for the team that will go to the World Championships. 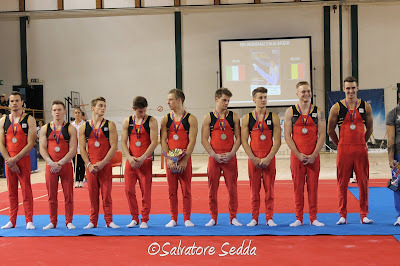 These gymnasts are: Kristof Schroé ('t Spagaatje Hoogstraten), Gilles Gentges (Gym Club Malmedy), Siemon Volkaert (GymMax), Donna-Donny Truyens (Blauwput Omnisport) and Jonathan Vrolix (Olympia Houthalen). This friendly competition against Italy was used as apreparation and was the final test for our gymnasts for the World Championships in Glasgow, a decisive step towards the 2016 Rio Olympic Games. The final selection should be announced this week. The team will then go in Arques (France) for a training camp. A big thanks to Salvatore Sedda for the pictures!